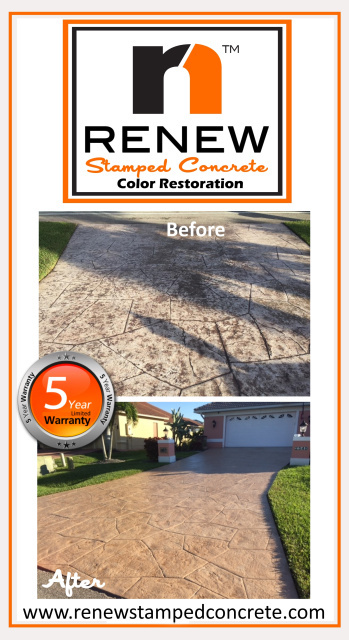 The RENEW™ system is a proprietary stamped concrete color restoration system of Surface Pro Decorative Concrete LLC. Only our trained installers have the expert knowledge and niche skills to perform the transformation. 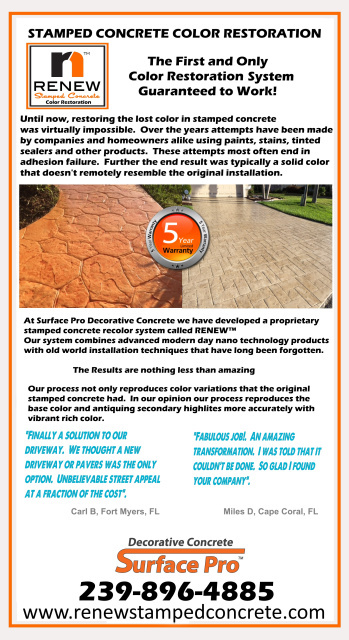 The products, protocols, means and methods are not for resale and are exclusive to Surface Pro Decorative Concrete LLC.